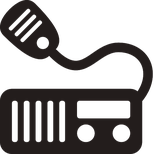 Many radio users have wound up with D-Star, DMR or System fusion capability bundled with a radio that they acquired at some point. 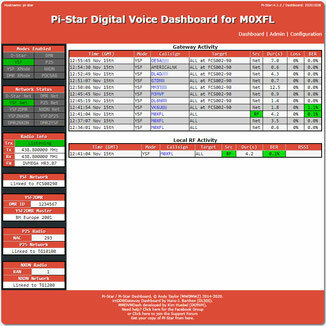 Digital repeater coverage is not so prolific leaving many without the ability to use this digital mode technology. But there are ways to gain a digital connection at a low cost by using digital hot spot! There are a number of digital hotspot solutions on the market, some work right out of the box, some need to be plugged into a PC and some require the use of a Raspberry Pi or a Blue Stack Micro. 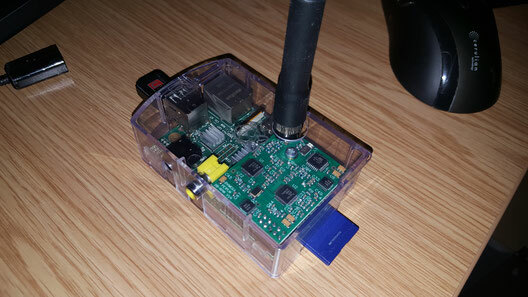 Here we will talk you through the DV-Mega and Raspberry Pi solution. This page does not intend to replace the materials already freely available on the internet, it's simply merely place all the resources required in one place, while also providing a clear overview of the assembly and setup process. I made two of these units, one based on the original Raspberry Pi and one based on the version #3 model. 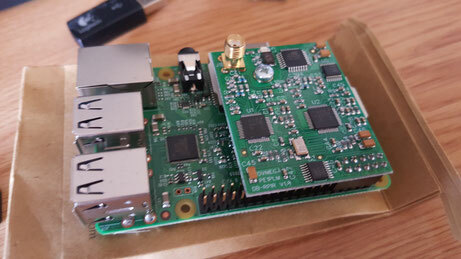 Both worked well, the later Pi version offered faster boot up time and more responsive O/S navigation. If you can, go for the later Pi model. The DV-Mega comes with basic fitting instructions which explain how to fit the modem board to the Raspberry Pi. 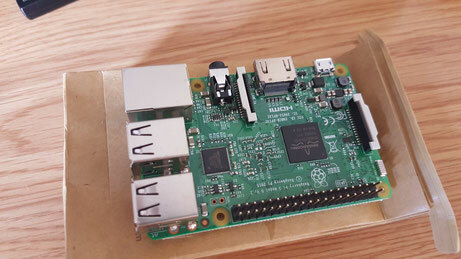 The DV-Mega board fits directly to the Raspberry Pi I/O pins as shown below, it's straightforward to install. The DV-Mega board is supported by its connector socket with the use of a small support spacer. This spacer screws through the PCB on the early versions of the Raspberry Pi, with later models this spacer will need to be glued to the PCB. Before gluing, first, fit the support post to the DV-Mega, apply the glue the base of the post, then placed the board in position. I found that I had to fit an extra washer between the DV-Mega and the support post as the spacer supplied was not quite long enough. I initially used super glue to attach the support post, this did not work at all. I then used epoxy glue which was much better and worked well. I observed ESD precautions when handling the Raspberry Pi and DV-Mega boards. I think this is important to avoid any potential future issues. You are going to need a box to protect your digital hot spot. There are plenty on eBay and Amazon, I avoided the metal cases to avoid issues with the built in WiFi (Pi3 only). 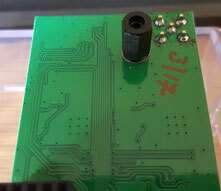 Most Pi enclosures will accommodate the DV-Mega PCB, but do think about this before purchasing. Whichever case you choose you're going to have to drill a hole for the antenna. Accuracy is very important when drilling the antenna hole, so it's worth triple checking before drilling. Identifying the correct position on a clear case is easy, however, if your case is not clear then some thought will have to go into identifying the correct position. A small pilot hole will allow for a sample check to be made before committing to the final cut. A 16mm hole cutter will make a clean cut in most materials and should leave you with just enough space to fit the antenna. No other modifications are needed. For the next step you will need to flash your SD card with the custom image provided by KB5RAB: https://spaces.hightail.com/space/se06G/files . Full and detailed instructions are provided with the image, it's important to follow the instructions to the letter to avoid problems, they are very well written and easy to follow so this should not be a problem. Use the recommended utility to format an SD card of 16Gb or larger (this is needed to maximise the available space). Download, unzip and write the KB5RAB image to the SD card using the recommend image utility. 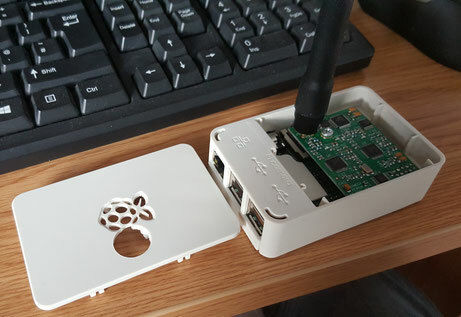 Boot the Pi off of the SD card, add a WiFI connection if required. Follow the KB5RAB instructions to switch off D-Star and DMR, enable YSF. This requires some simple editing of various text files (this is not difficult to do so don't worry). It's important to also read the 'Read me' file that will be located on your new desktop. This will advise you to expand the files system among other things to help improve performance. The image comes pre-loaded with TightVNC so remote access of you DV-Mega hotspot will be available as soon as you have established a connection. The DV-Mega website says the unit is fitted with a 10mW transmitter. A range of about 100 metres can easily be achieved with the stub antenna supplied with the unit (with limited obstructions etc). Initially, I had my handheld radio set to 'low' power which was limiting range when I turned this up to 5W the range increased. It's also possible to fit an antenna with a higher gain to achieve a greater range if this were needed, I installed my FD1XDE stock antenna to the hotspot to test this. I achieved a line of site range of 500m! I don't know why anybody would want to do this, but it was fun to test these things. I have really enjoyed this project. It's just a great way to explore a modern mode without relying on a local digital repeater. It did occur to me that these digital hotspots may be of particular interest to Foundation licence holders, global communication can be achieve at very low power settings. A great project and highly recommended.